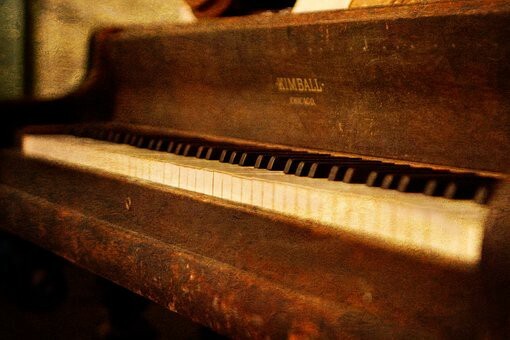 An old run down piano was willed to a woman by her late aunt. The woman loved music but once she saw the piano, she decided it wasn’t beautiful enough to display it in her living room. She refused to play it because it is was dirty and the wood was worn. Wanting it out of her house, she had it put on the curb hoping someone would take it off of her hands. She couldn’t imagine who would actually want it — but better them, than her. That same day, an open minded individual driving past, saw the piano and decided to bring it home. The man’s open heart and love of music, superseded the piano’s much needed help and dingy appearance. The women saw him from her window and sheepishly waved. When the man got the piano home, the first thing he did was sit down and play it. Tears began to roll down his face because despite some love and much needed tuning, the music that bellowed out of this old broken down piano was simply beautiful. He was amazed that anyone could part with such a magnificent piece of art — but better him, than her.